Gatwick Detainees Welfare Group regularly visit schools in the local area to raise awareness of asylum immigration detention. We encourage students to think critically about asylum and migration issues by looking at information in the media and current data and statistics. Over the past few months we visited Blatchington Mill School & Sixth Form College in Hove twice to talk to their Year 10 students. One of the school’s students were so motivated by our visit that he decided to launch a clothes drive for us! 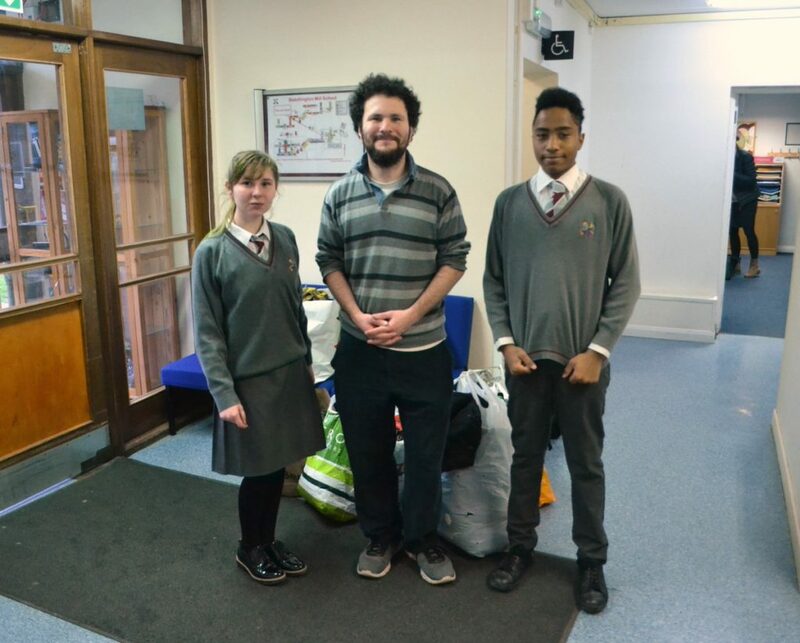 He rallied the students to collect clothes to be donated to people being held at Brook House and Tinsley House. We would like to say a big thank you to the incredible students at Blatchington Mill School & Sixth Form College for your generosity! We feel extremely lucky to have your support.